A Charleston getaway makes a great women's weekend. The shopping, the restaurants, the lovely architecture and neighborhoods - and of course, the pleasant weather - make for a really relaxing getaway with "the girls". Charleston is one of my favorite places. It's a very walkable city, it's just a lovely city, and there is so much history and beauty there. I really feel like I can slow down and relax in Charleston - and isn't that what any vacation is about? Getting to Charleston is relatively easy whether you fly or drive. All of the major airlines service Charleston International Airport, just outside the city. Amtrak also services Charleston, with its east coast lines. But Charleston is so easy to get around on foot, I wouldn't bother renting a car. We rented a car for a week-long vacation there recently and only used it once (to visit a couple of plantations). There are tours to the plantations, so you could take a shuttle from the airport, take a tour to the plantations, and save the cost of a rental car. If you happen to live in the vicinity, driving is easy with some nice scenery along the way. On another trip, we took smaller roads along the coastline from Hilton Head, which took longer than taking the highway but was a very pleasant drive. The Doubletree Guest Suites is a moderately priced in the heart of the historic district offering spacious rooms and suites within walking distance of City Market and other shops. Walk to shops and restaurants on King Street, wander Waterfront Park, enjoy antebellum mansions with hidden gardens, Rainbow Row, and much more! The perfect location for a Charleston getaway. For a more elegant experience, try The French Quarter Inn, an historic inn that, like the Doubletree, is within walking distance of everything you'll love about Charleston (it's on the same street as the Doubletree!). The French Quarter Inn oozes Southern charm, with champagne upon arrival, wine and cheese in the afternoon, and milk and cookies at night. 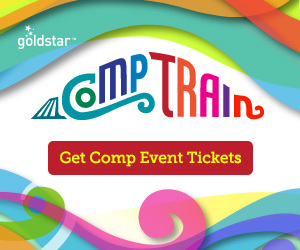 It's a wonderful destination for a girl's weekend, and they'll give you a little extra attention if you're celebrating a birthday or other milestone. Ask for spa recommendations, carriage rides, or shopping tips - they're happy to help! History, shopping, and sightseeing are among the activities you can enjoy on your Charleston getaway. 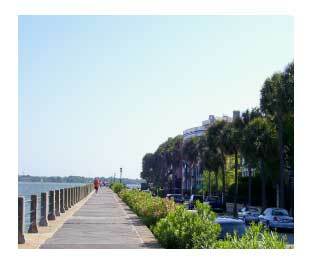 Take a walk on the boardwalk along the Cooper River, and enjoy the lovely homes along the river. You'll end up at White Point Gardens, a park along the water. White Point Gardens is in the Battery, where the Cooper and Ashley rivers meet, and has an historic cannon facing Fort Sumter across the river. There are ferries that will take you to the fort, and it provides a nice, scenic ride along the river, too. Wandering the historic district on foot, you'll find shops and restaurants along King Street; or take a carriage ride and see the beautiful homes and gardens. 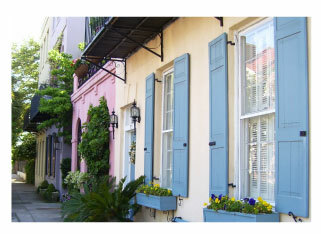 Don't miss Rainbow Row, where each home is painted a different, pastel color! There a lots of walking, carriage, trolley or bus tours that focus on the history of the area, or fun ghost or pirate tours! We enjoyed the Charleston Footprints Walking Tour, a lovely walk in the area south of Broad St. The homes and gardens are stunning, and the guide, who was raised in the area, knew a lot of the history (including some that would never make it into a history book!). City Market, a series of open-air stalls and small shops, has everything from fresh food to boutiques and souvenirs. You can see women weaving seagrass baskets they way they've been made for centuries (and purchase one to take home), enjoy lunch at an outdoor cafe, and pick up a few trinkets for friends and family. 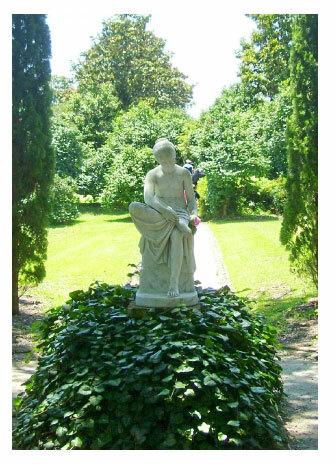 If you decide to venture out to the plantations, there are tours that will take you there, or you can easily drive. 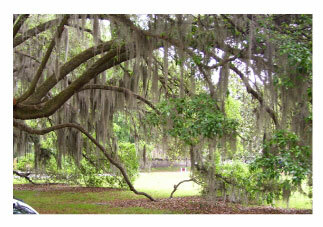 We visited Middleton Place and the Tea Plantation. Middleton Place is known for it's lovely gardens, and the Tea Plantation had a brief, but interesting, tour and lots of tea to taste! What to eat on a Charleston getaway? Seafood!! Being from the midwest, fresh seafood is such a treat, I can't resist. The she-crab soup is phenomenal! Southern cooking - from grits to peach cobbler - is a real comfort food, and you'll find some of the best in traditional Southern cuisine in Charleston. One of the finest, and best known, restaurants in Charleston, Poogan's Porch is famous for it's upscale Lowcountry cuisine. Housed in an old Victorian home on Queen Street in the historic district, the restaurant has an elegant decor, and a menu offering biscuts and gravy to pecan-encrusted catfish. I had lunch there and it was probably the best meal we had during our trip - highly recommended! The Swamp Fox Restaurant and Bar, overlooking Marion Square on King Street, also offers fine Lowcountry cooking, specializing in shrimp and grits. You can enjoy jazz on the weekends, and meals made from the farmer's market in season. For a more casual dining experience, try Sticky Fingers Smokehouse. Memphis-style barbecue ribs, pulled port, smoked chicken, with mac and cheese, sweet potato fries - and peach cobbler! I've eaten at Sticky Fingers, and absolutely loved it. A Charleston getaway is perfect for a sister's trip, girlfriend getaway or multi-generational family get-together. It's relaxed pace and lovely surroundings encourage relaxation, conversation, and re-connecting with those close to you.